It’s official: Michael van der Mark and Alex Lowes will wear the colors of the Yamaha WorldSBK PATA during the next year. 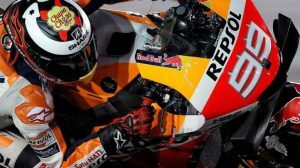 It will be the third season of the Dutch, and the fourth of the birtánico, on the R1M of the Superbike World Championship. The Iwata brand has chosen to maintain its current line-up shortly after both premiered their triumphs on the Japanese bike and Eric de Seynes, director of Yamaha Europe, has made clear his goal in the statement they have issued: they want to recover the crown. The factory of the three tuning forks has not been awarded the title of WSBK since 2009, with Ben Spies, and in 2016 it returned with an ambitious project that has been slow to explode. 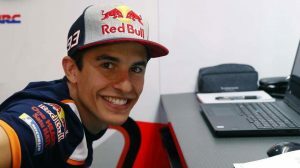 However, in the 2018 academic year, they have signed three victories and a total of ten podiums. They are growing and changing their riders could take them to the starting point again. The arrival of Tom Sykes – and also the landing of VD Mark in Kawasaki – had sounded very strongly, but the movement has been ruled out with this official announcement. “I am really happy to have signed for a third season with Yamaha, I trust this project, Yamaha believes in me as a rider and that makes the combination strong. While we work to improve, it is clear that we have made significant progress to the point that we are winning races and fighting ahead every weekend, I am desiring to continue with this trend and go one step further to achieve our main goal, which is to fight for the World Superbike, “said VD Mark, whose relationship with Yamaha has been very positive during the last years. 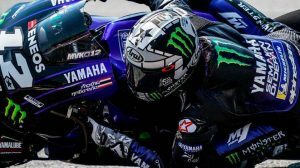 They even had him to replace Valentino Rossi in Aragón 2017, although the Italian decided to finally compete, and as a replacement for Jonas Folger in the Monster Yamaha Tech3 during the Malaysian Grand Prix and the Valencian Community. Lowes, meanwhile, has also admitted that he is “really happy” and recognizes that they have faced ups and downs, although the trend has always been upwards: “Getting my first win this season has been fantastic, but this success means we expect more than every race. ” “My ambition has always been the title and I think I am being realistic, seeing the progress we have made, I have never enjoyed the competition as I do now, with my team, and I will continue giving everything so that Yamaha is where it needs to be,” he concludes. the 22. Four tests remain for the World Superbike and VD to end. Mark is immersed in the fight for the second place. If you want to get it, you must cut 30 points to Chaz Davies when there are 200 points in play; Lowes (6th) is tied with Marco Melandri in the fight to put the pin on the top five. Now you can face these challenges with the peace of mind that your future is assured.